Q. What is the minimum supply pressure this product requires? 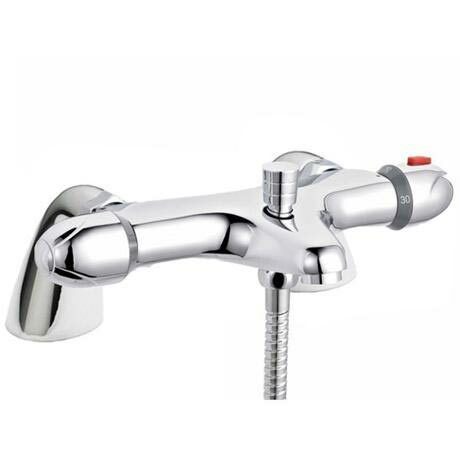 Hi Mike, the Premier Deck Mounted Bath/Shower Mixer works at a minimum of 0.5 bar. Thanks. Excellent priced thermostatic shower value. Simple design. Items do exactly as stated Hassle free. Item as described and is working well. Was easy to install. Very pleased with my purchase. Excellent service as usuall from this company product was as described and arrived the next day. price good looks good havnt fitted it yet so dont know efficentcy of it downside is it doesnt come with flexy hose showerhead or riser kit i would of paid a bit more to have them also they didnt say this would be the case when ordering bit disapointing. but over all pleased.